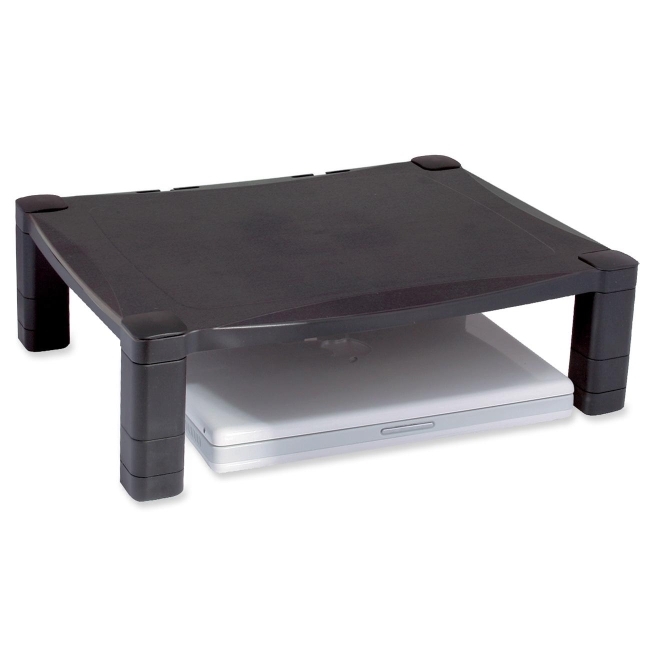 Monitor stand adjusts in height from 3" to 6-1/2" in 1-1/4" increments and offers a 17" x 13-1/4" sturdy platform. Wide design is suitable to dock or support today's larger laptop computers. Use stand to maximize your work space while raising your monitor or laptop to a comfortable viewing level. 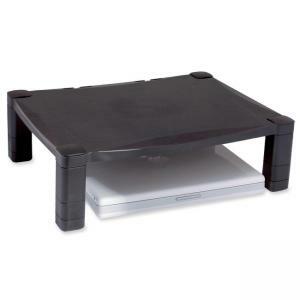 Monitor stand supports up to 60 lb. on the extra large platform and includes cable management. Monitor stand is made of plastic.